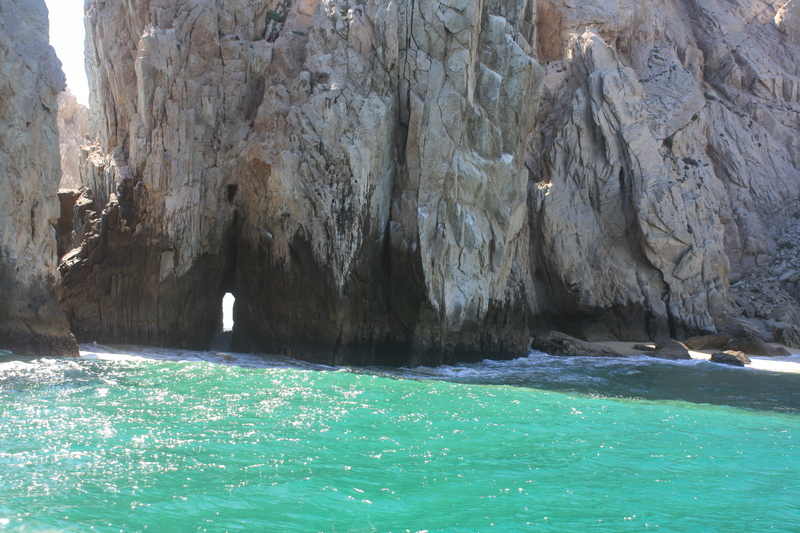 Well our trip to Cabo was not our usual vacation . Gene and I usually like to go to a quiet out-of-the-way destination where we can feel like we’ve discovered a secret beach or unknown restaurant. 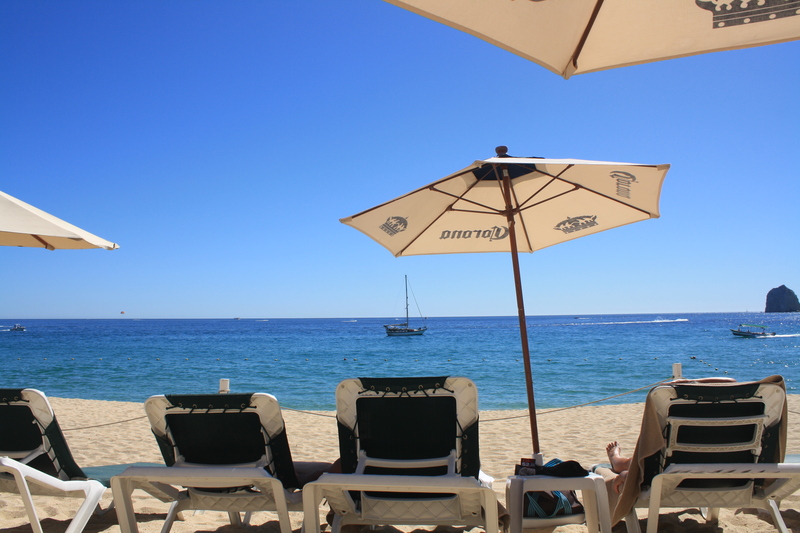 The challenge with Cabo is that there are crowds, so you’ve got to strategize in order to make it your own. Fortunately there are many quiet places to be found. With a little research and planning you can successfully avoid the crowds of loud Americanos. 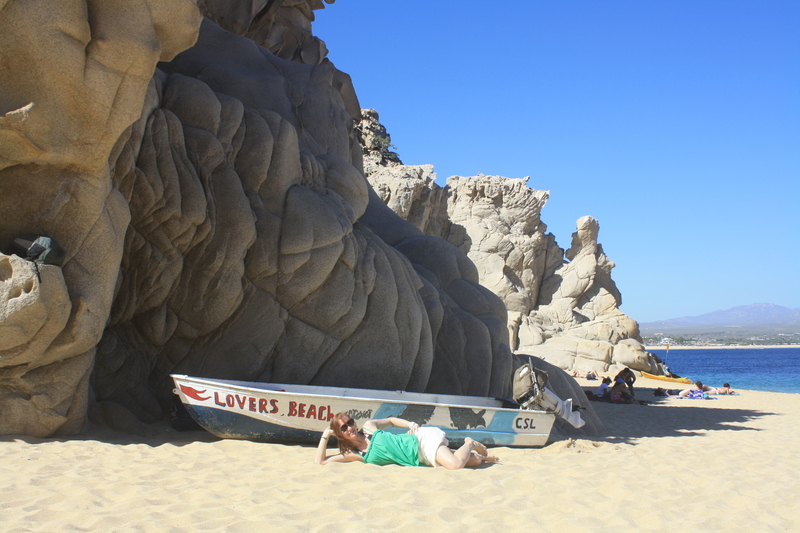 Tip #1: Go to Lover’s Beach. 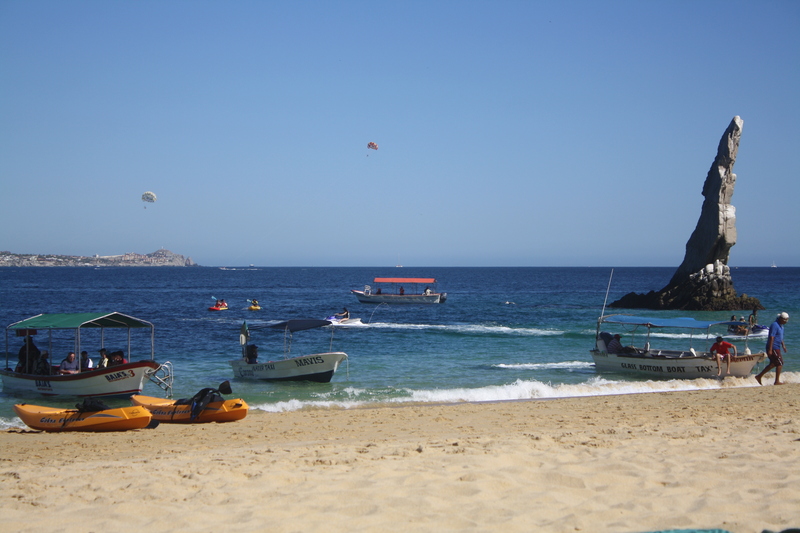 You have to take a small boat to get there, there are no bathrooms or food vendors, and the only drink available is Cerveza Fria being sold by a local , but not all day. So those who don’t like boat rides, who like the comforts of a big resort, or want the endless pina coladas, margaritas, and cushioned chairs will not be here. 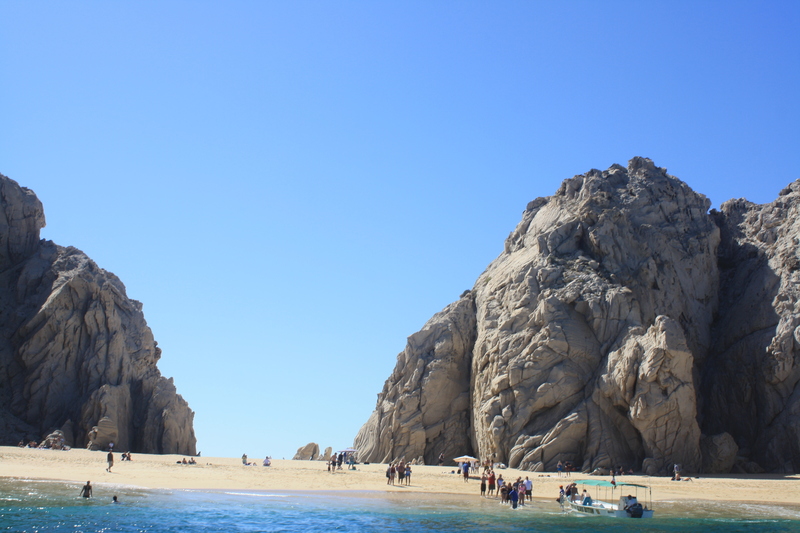 Lover’s Beach faces the Sea of Cortez. 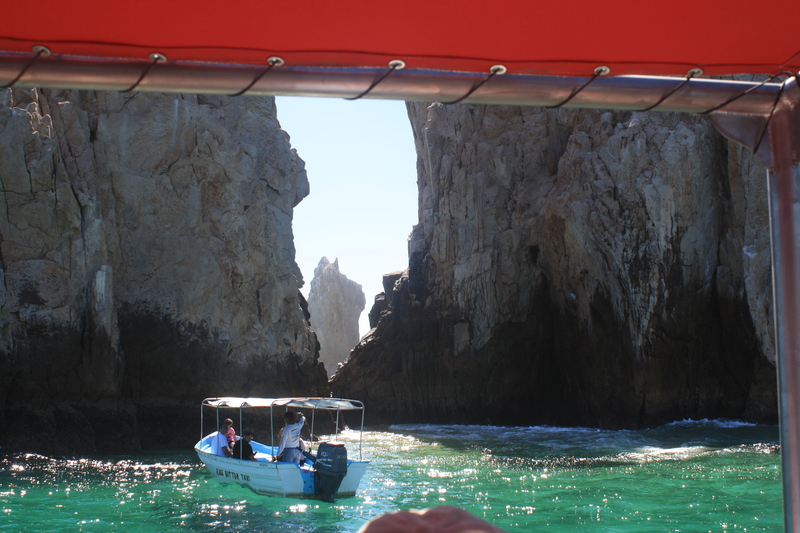 We got dropped off by our little glass bottom boat-taxi and settled with our coolers and towels. 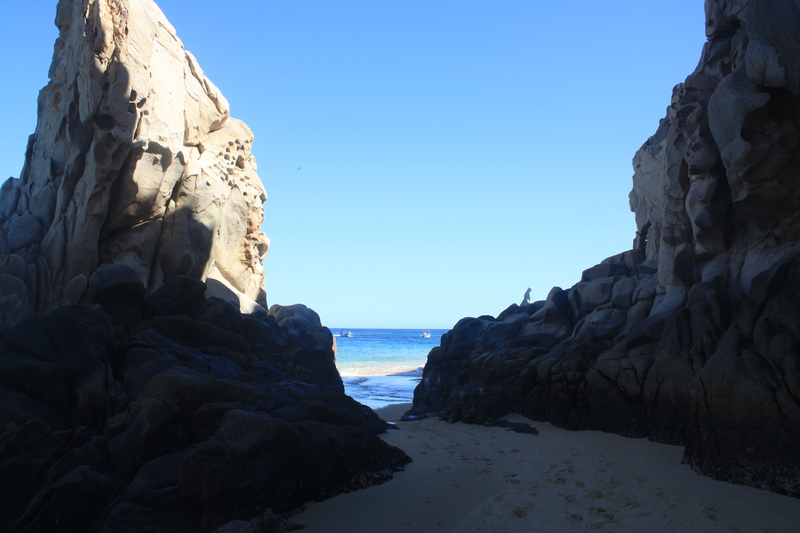 We walked around Lover’s Beach and took some photos and went swimming. 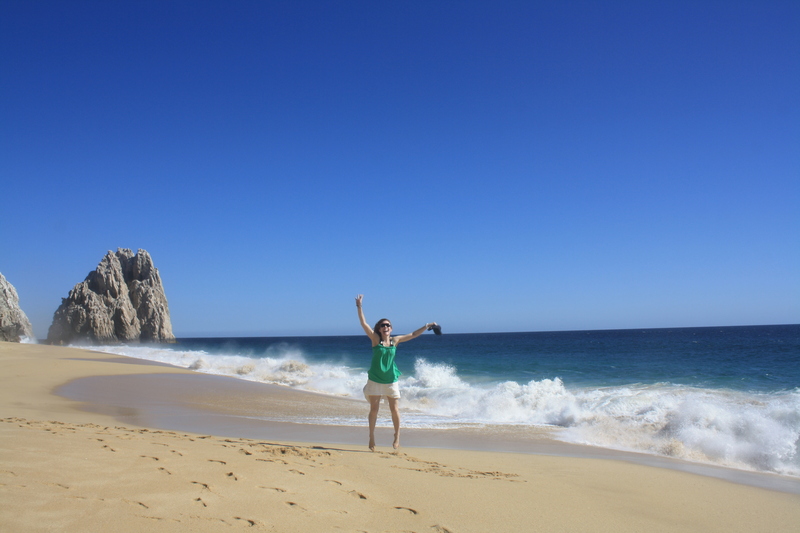 Then we decided to explore the other beach we’d heard about: Divorce Beach. To get there you walk on a path through the rocks, behind Lover’s Beach and towards the Pacific. As you can see in the photo above, past the rocks it looks as if you’re in the desert. In fact this is the start of Divorce Beach. 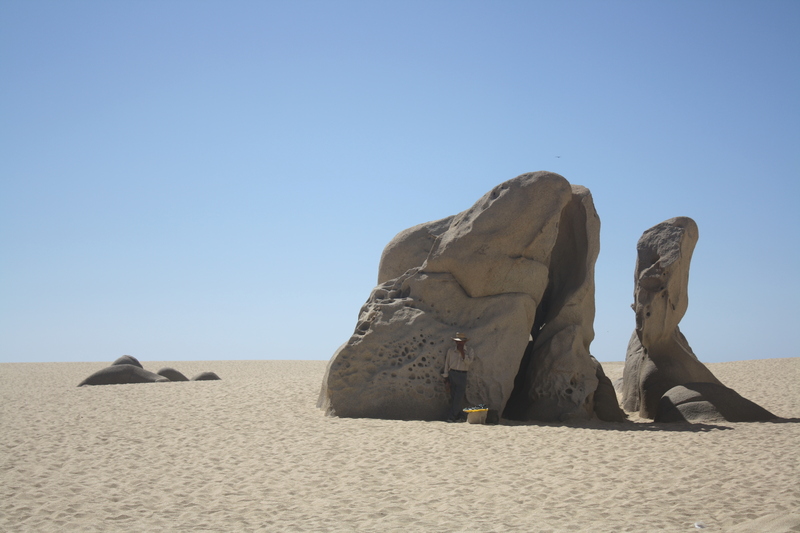 Divorce Beach is magical for it’s serenity, emptiness, and moon-like rock formations. 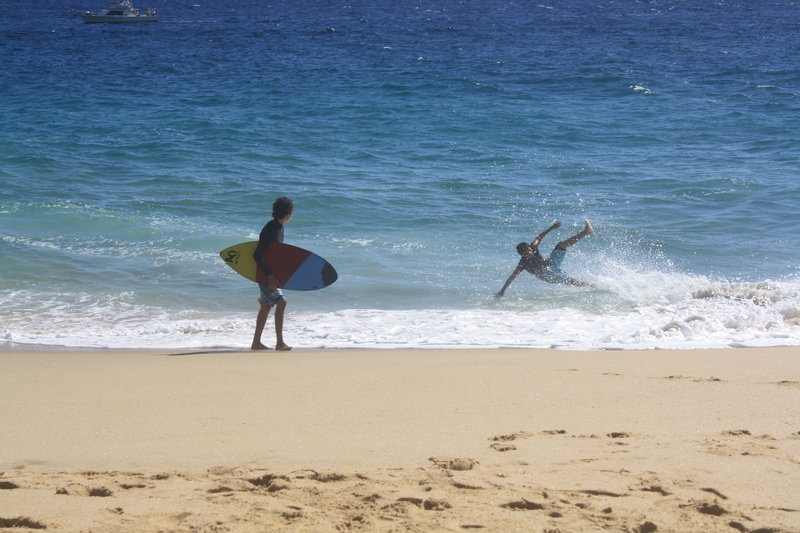 For some time, the only other bathers on Divorce Beach were some local kids practicing skin boarding. 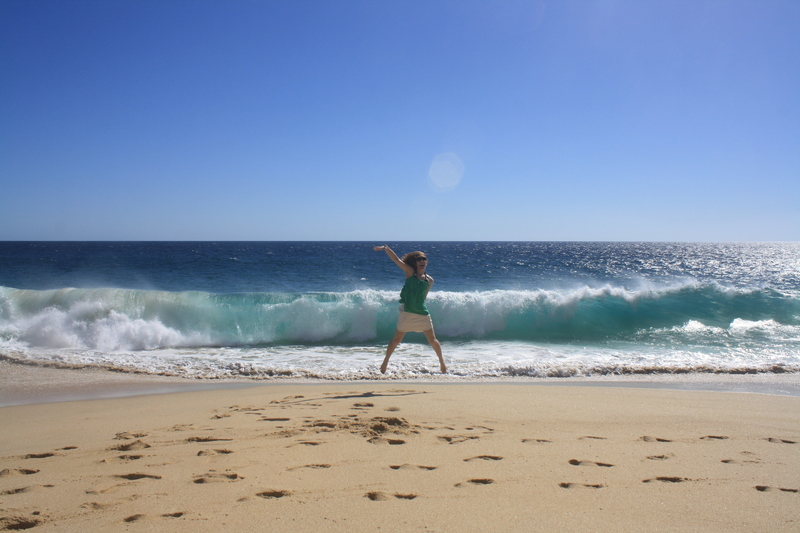 The undertow is very strong on the Pacific side, so we just walked around, jumped around in the water, and took photos. 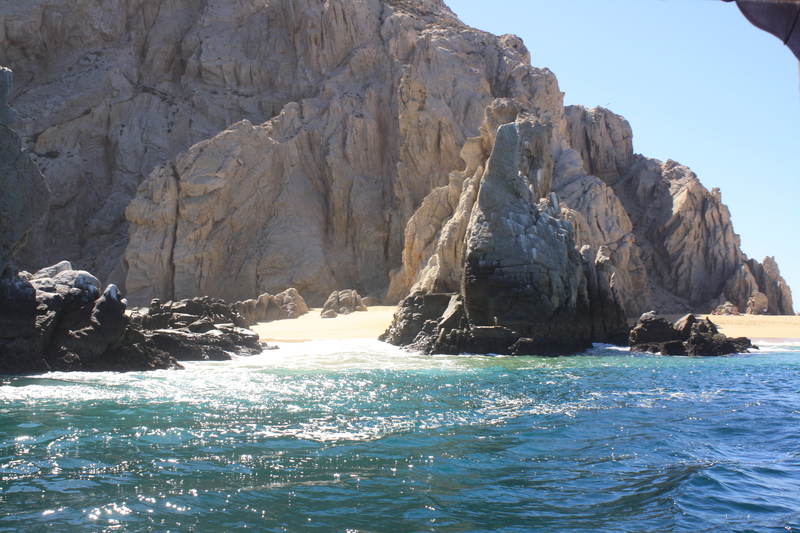 Then we returned to Lover’s Beach for more swimming! 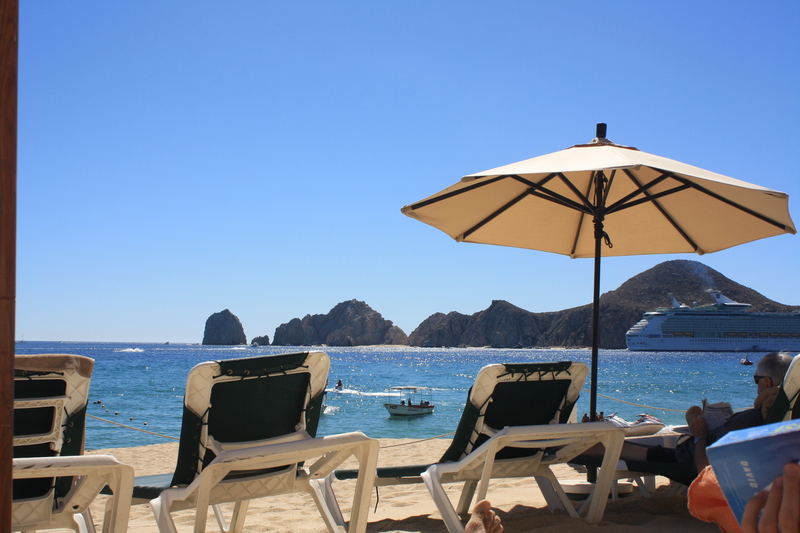 Tip #2: Find a chaise on the beach, rather than poolside. 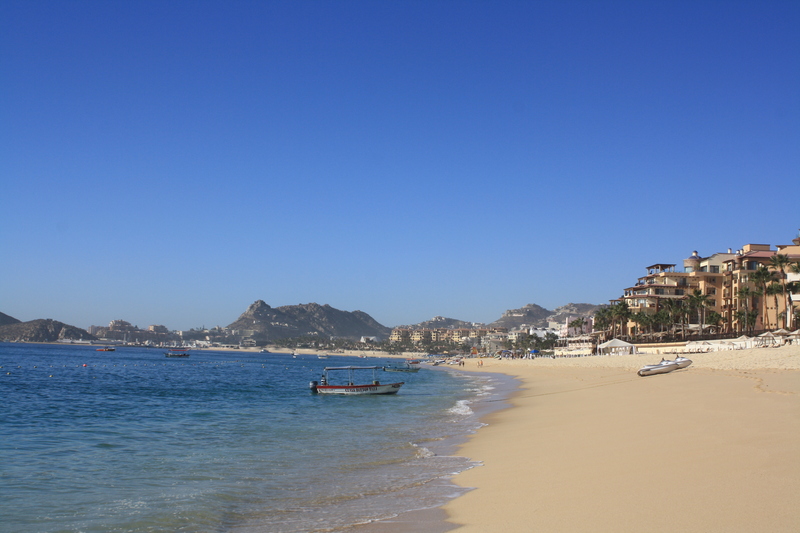 The beaches that are more popular are very long so you can always find a quiet spot, even at your resort. And the beaches that are smaller are also more exclusive or hard to reach, so they are just emptier and also offer a quiet place for sunbathing. Had to share this funny pic. We saw this guy walking along the beach near the more spring-breaky area, and just loved his Borat getup! omggggggggggggggggggggggggggg. the borat pic is AMAZING.